Initial analysis was performed from BPC and BW administration to check all dimensions and models were active. We had then sent these table names to DB team to find the logs on these tables for last 10 days. 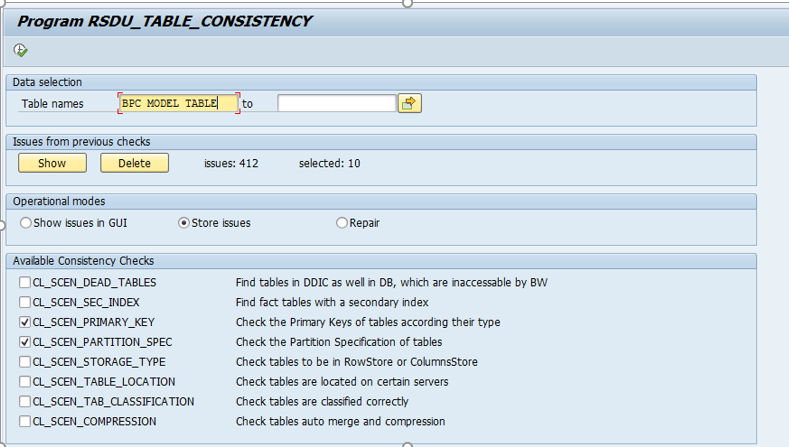 From the logs, it was discovered that during the DB conversion, partitions from BPC tables were dropped but were never recreated due to errors during conversion. Hence, table inconsistency was caused because of data conversions which happened at the database level and was not fixed. 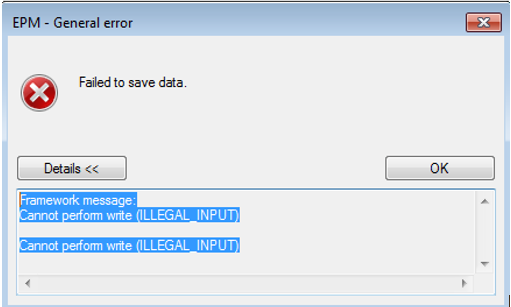 As the data conversion was not successfully completed, table partitions were not created and hence BPC model was unable to save any data as there were no partitions on BPC table in DB. Hence, we ran below consistency checks in BW system and repaired partitions with the help of DB logs as per the steps explained below. Note: If any DB level changes are done, then it is always useful to run this program to check for any DB inconsistency with various options given in this table. 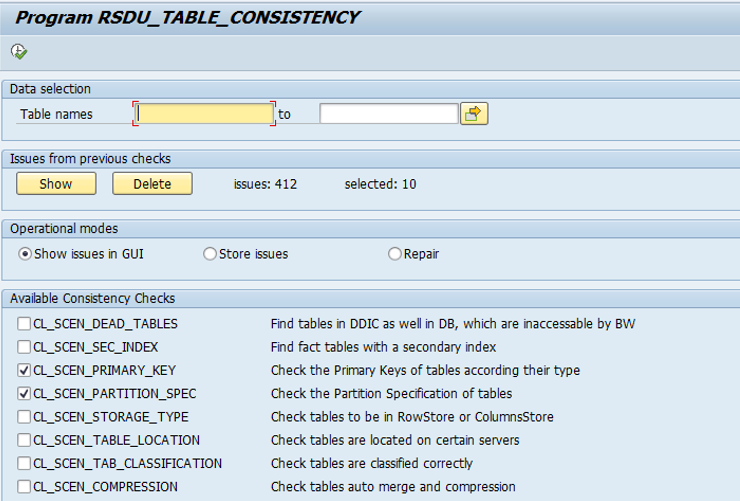 Go to SE38 in your BW system and run the program named “RSDU_TABLE_CONSISTENCY” and click on execute. Execute this report in the background and then proceed to step 2 to view all the results. Click on each item and click on “Save” to save the checks so that you can run a repair. It is recommended to run “Repair” in the background as it can take a long time depending upon the inconsistencies identified. This solved my concern. Excellent solution.